In the past, accounts could be created without verification in order to access games easily. Why change it now, then? 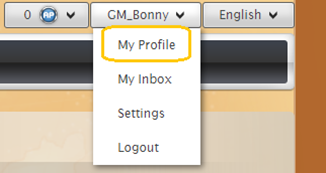 2: My email address is not valid: how do I change it? If you are using a generated e-mail address, or an old address, you do not have access to anymore, you will need to create a new one. Note: We recommend you use secure e-mail services and avoid instant messaging to insure the security of your account. Login to our website and go to your profile. 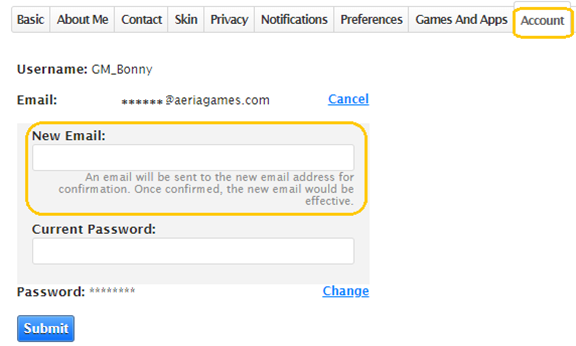 Click on the “Account” tab then “Change” and enter your new email. You will receive an e-mail with a link to the new e-mail address: please click on it. Your account is now verified, congratulations! We strongly recommend you to proceed as soon as possible and spread the word with your friends and guild. Thank you for helping us making our games a safe place!